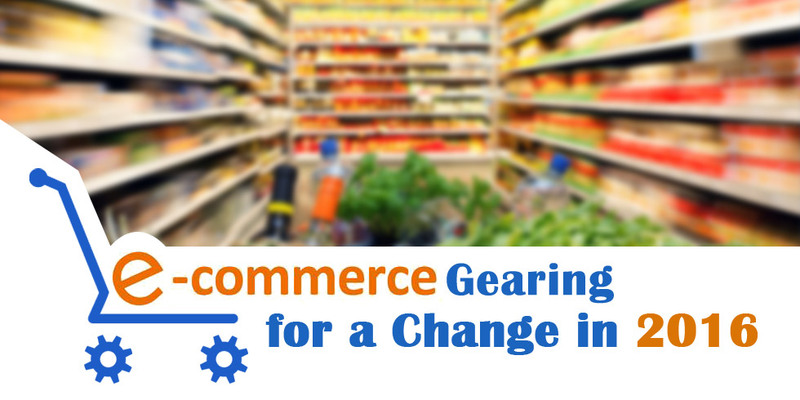 E-commerce Gearing for a Change in 2016? E-commerce has seen a sort of revolution since the start of the second decade in the 21st century. Against all odds it has made deep penetration in the market especially in the developing world. This has created an entire new ecosystem in buying and selling and changed the goods and services industry for ever. Like all other tech based industries, the changes in the ecommerce industry takes place very fast and 2016 promises to be a year of innovation and application of this modern technology to take it to newer heights. Here we list out some the of the major changes we are likely to see in ecommerce solutions in the coming years and also see how the industry is gearing up for it. M-commerce or transactions using mobile devices contributed to 40% of the sales in the ecommerce industry in 2015 which is a 10% jump from the previous year. Market estimates suggest that m-commerce would take over traditional desktop and laptop based sales in 2016. These transactions would come both from apps as well as mobile versions of online stores. Major online stores would be revamping their experience to the mobile users in 2016 to cash in on this trend. This is one of the things that all small and big online stores have been trying to fine tune over the last many years and 2016 will be no different. Experts say the goal is to strike balance between faster purchase and security. The check-out process has been simplified in the last two years and with the increasing popularity of mobile wallets, online stores expect to allow users to carry out purchase of a product from browsing to payment confirmation in less than 60 seconds. If the first phase of the ecommerce was led by the big marketplaces such as Amazon, eBay and local giants such as Flipkart in India and Alibaba in China, the next phase would belong to the retailers. After having lost a huge chunk of their customers to these online marketplaces, these retailers are taking the plunge into the online shopping industry themselves with promise of better customer services and faster delivery. Ecommerce stores have realized the potential of increasing their conversion rates by offering a highly personalized experience to the users. In 2016 this will be one of the core areas of their focus where they would look to fine tune their services by personalizing their experience. Apart from suggesting products and services based on a user’s experience they would also customize every aspect of the service including delivery. With bandwidth and Internet speeds increasing around the world, online stores are moving towards video based illustrations of the products. This creates a more store-like experience for the customers where they are able to get a 360° experience of the product they intend to buy. As the leading ecommerce development company in India, Semaphore Software is at the front of incorporating these new trends and features into its ecommerce development projects. We have done it for hundreds of online stores in the past and would offer exceptional quality services in the near future too. Know more by writing to us at info@semaphore-software.com.